Monitoring the weight of an individuals that are sick can provide valuable insight into their progress towards recovery. Similarly, certain individuals may have difficulty using traditional weighing equipment for their own weight tracking purposes. We work with suppliers that understand this and can provide a quality selection of scales that are functional, accessible and durable. Scales available cater for individuals using wheelchairs (or with limited independent mobility), babies and the elderly. 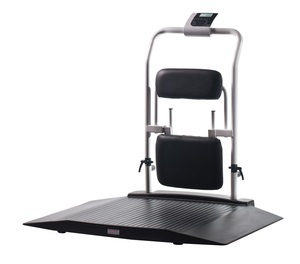 Most have flexible weight indicators that can be installed in a location convenient to the environment.